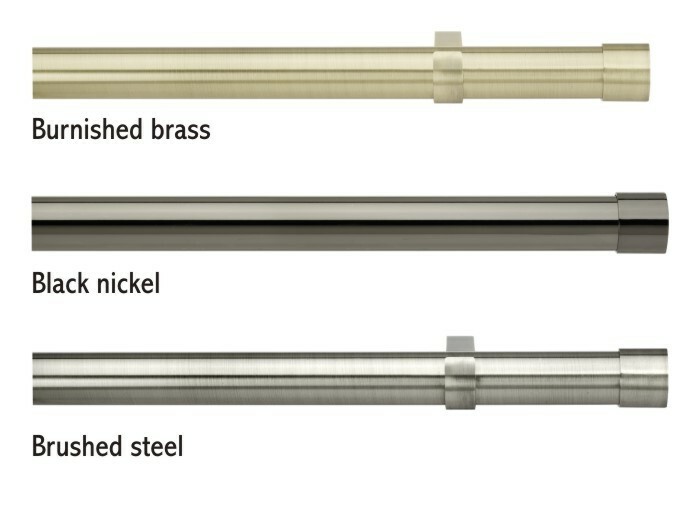 Integra Metal Works 19mm: six lengths, 4 finishes (Brushed Silver, Burnished Brass, Chrome, Black Nickel),2 finial designs (Orient Barrel next & Zorb below that). 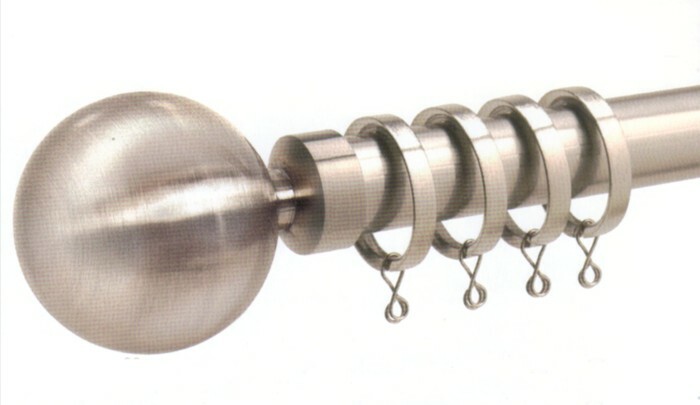 Integra Metal Works 28mm: 5 lengths, 5 finishes (Burnished Brass, Brushed Silver, Black Nickel, Satin Nickel, Chrome), 4 finial designs (Lexington, Brooklyn, Nexus & Zorb illustrated). 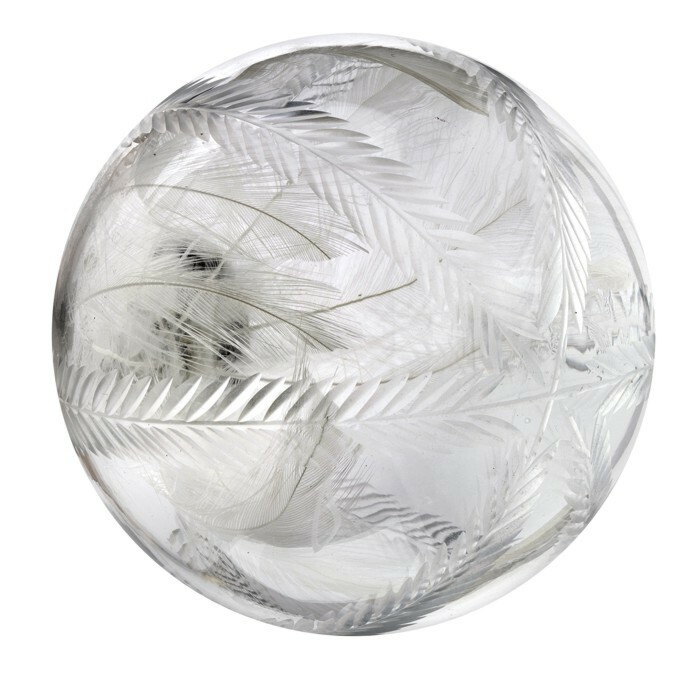 Integra Options 19mm, 28mm, 35mm & 50mm: 4 finishes (Burnished Brass, Satin Silver, Black Nickel, Brushed Silver), more than 30 modern finial styles in a variety of materials. With double layering and bay pole options. 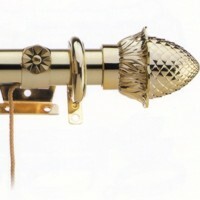 Integra Golden Glide 25mm corded telescopic. 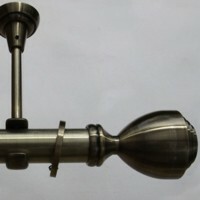 5 lengths, Polished Brass only. 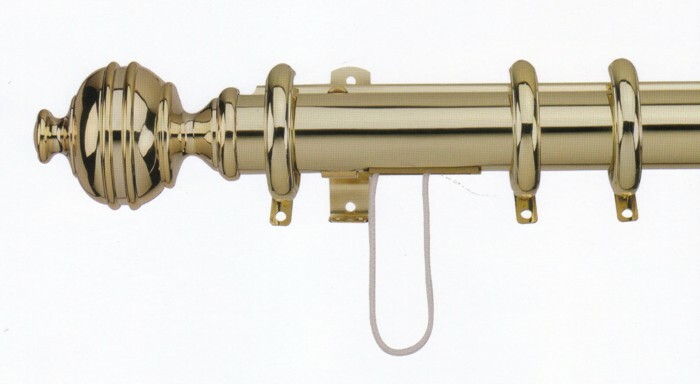 Integra Royal Orb 38mm, 3 lengths, Polished Brass only. 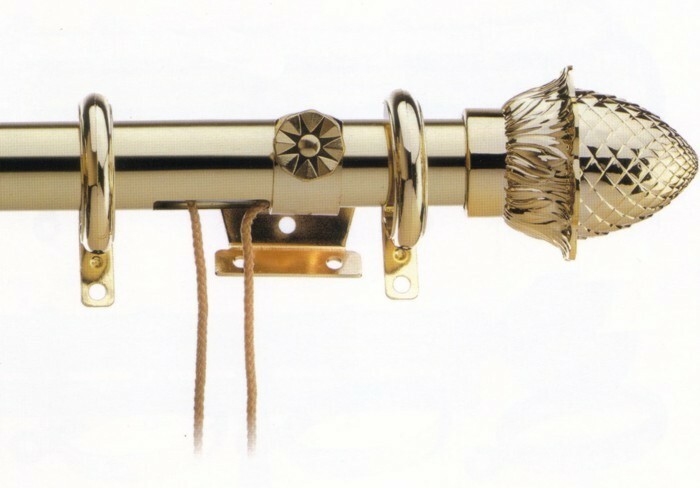 Chyc Zirconio 20mm & 28mm: 4 lengths, 3 finishes (Matt Nickel, Chrome & Antique Brass), 5 finials (Jerez, Caceres, Dama, Cup & Jaen). Gifer Aquarius 19mm, metal pole kits,2.0m only: 2 finishes (bright steel or steel with fine oak), 4 finials (Rodas, Index light oak, Koral light oak & Itaca). Speedy Poles Apart 28mm metal pole sets, 4 finishes (Satin Silver, Antique Brass, Chrome and Polished Graphite), 7 finial designs (Boulevard, Crescent, Piazza, Crash, Triangle, Aztec & Vienna - illustrated). 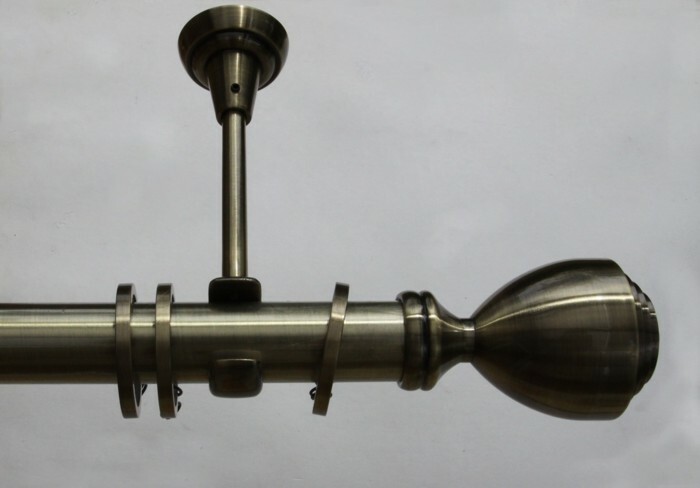 Speedy Metal bay pole kits idc 28mm 3 side bay pole with sphere finials: 90cm + 120cm + 120cm + 90cm, 2 finishes (Satin Silver and Antique Brass). Passing rings with nylon insert allow full curtain flow around the bay.